This week has been full of school preparations. It seems like we have been living in the van or at the store doing last minute school preparations. But the week is now over and kids all have hair cuts, new shoes, backpacks with their needed school supplies in them and clothes to wear that actually fit. The process of getting there involved me sneaking bites of chocolate periodically from my stash but overall we had fun and I didn't yell at anyone - I count that as a major victory. Allison had a hard time at the beginning of the week as she did something very kind. 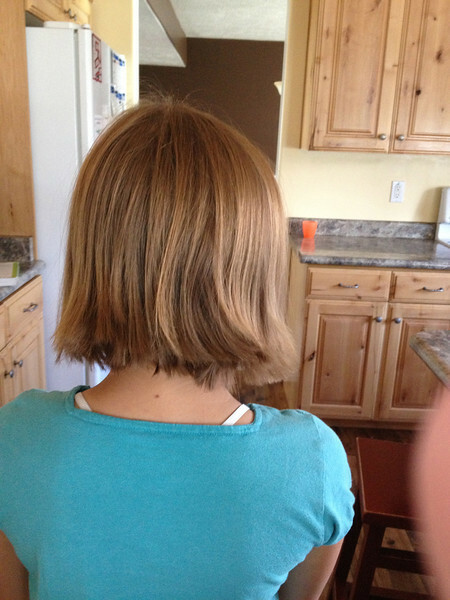 She cut off all her hair to donate to locks of love. She has been wanting to do this for some time and finally did it. 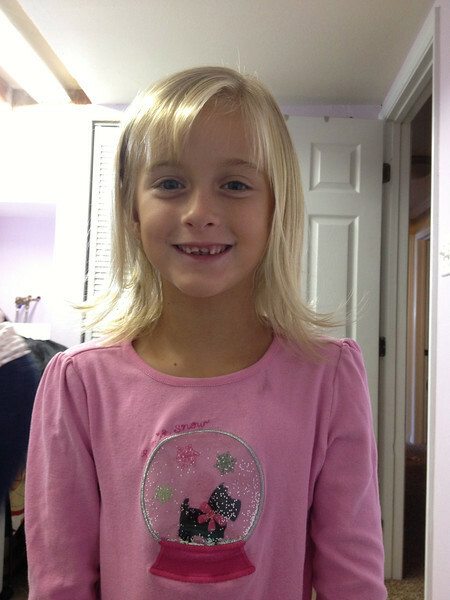 Unfortunately she wasn't prepared for how short it would be and had some tears and regrets after. But she has come back into the light and looks super cute and way too old with her short hair. 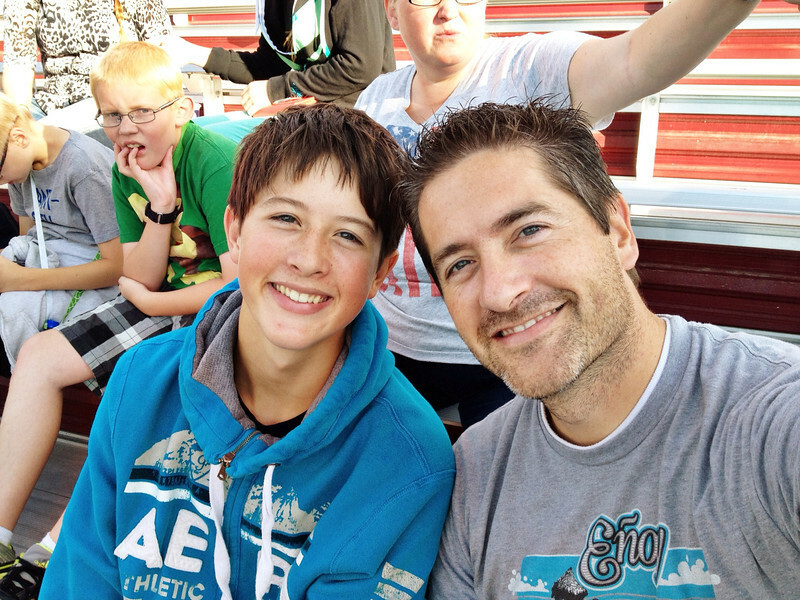 Spencer and I went this week to tour the junior high. He had a cute 9th grade girl show him around to all his classes and help find his locker. He starts Tuesday morning bright and early and is excited for this new adventure. He seems to be responding well to the ADHD medication but is only on a half dosage so far. We have been doing a few things this week on our summer bucket list. We went to the temple so Spencer could finish up some baptism names. He was very excited to check out the cafeteria and then found that is wasn't quite what he expected. So it was of to Costco and a giant polish dog instead. He came up to Jeremy one night to ask him to teach him how to drive the quad. Spencer could have gone all night on that thing. On Friday we had the cousins come over for a day and Spencer and his cousin Garion got to go on a space adventure. There is a place by us that does space mission simulations. They had a great time and thought they were so cool. And then to complete his manly wish list, Saturday night Jeremy and he went out for hamburgers and to the demolition derby. Noise and destruction, they were thrilled. He even was able to handle his contact tearing Saturday night and knowing that since his contacts haven't arrived yet he might be wearing glasses for the first day of school. 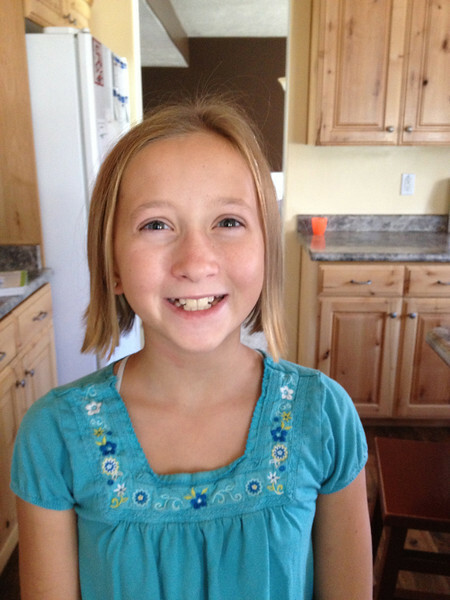 On Friday night, Allison had plans with friends for an American Girl doll party. But the rest of us with grumpy and whiny in tow left to listen to a concert. Everyone happied up, bribes of frozen yogurt helped and we discovered a new artist we really enjoyed. Robyn and Allison had their back to school night this week. Robyn has an awesome teacher for this year and we are reserving judgement on Allison's although she assures me that Mrs Johnson is the best choice of the three. They start back to school Wednesday. They were very excited to see all their school friends. We cleaned out desks this week and threw away old candy wrappers, scraps of paper and stuff that I don't really want to recall so they are set to go to work. Our plum tree did extremely well this year. We picked plums all week, froze some and gave a ton away. Yesterday we stripped our garden so we are experimenting with chocolate beet cake (delicious! ), beet smoothies (I liked them), plum crisp and pico. Allison is home sick today with blisters all over her throat. I am hoping she gets better quick. Right now she is in the miserable moping state. She has been enjoying her few weeks of viola lessons so far and the squeakiness doesn't bother me as I thought it would. This week I got to do two long bike rides up in the canyons. After a few hours of shoe shopping with kids I decided that those bike rides were absolutely essential for my being able to keep a smile on my face! Exercise, some chocolate and a date with Jeremy is all I need to stay in a good place most days (and prayer and scriptures). Jeremy and I got to sneak out for a mid-week date to see a play, 'The curious savage'. It was really good and one I had never heard of before.